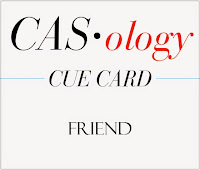 This week's CASology Cue Card is Friend! I went with a famous CAS icon to make my card. I created my focal image by cutting a square and then cutting a Memory Box 'f' out of it. It was very simple to combine two dies to create one die-cut! I finished it with a sentiment from Mama Elephant. And since Less is More is also having a friendly challenge this week, I'll be linking up there as well! And now it's your turn! Before you go, make sure to check out all the inspiration from the other DT Members! OMG! I LOVE this! You are so creative, Ardyth! You're a genius. And congrats on your shout out at Virginia's for your CAS masterpiece. Soooooooo incredibly brilliant and soooooo creative! You have me so intrigued with this idea! I'm heading straight to my craft room to try various dies! OH MG! I had to do a double-take on this one Ardyth. It rocks! So fun and right on trend! Love it. Great card with impact !! Brilliantly AWESOME, dear card maker!!!! Love the ingenius, creative thought that went into this awesome card!!! Way to go - I am SO impressed!!! Great idea using the facebook logo - that's where a lot of friends are made! Love your profile description - we are MESK in our house with me the E! Brilliant! Clever, cool and graphic and so perfectly you! Way better than a dog card! LOL! This is really so clever. Very high impact. You think up the most incredible designs, amazing and so 'friend' perfect! Hey Ardyth!! You are one clever woman!! Your card totally made me smile. You did an amazing job with this. I love that you used that famous icon. Facebook is a place for friends. You out did yourself this time!! So, so clever! Major impact! Is there an icon for 'perfect'? This is just brilliant! Such a clever interpretation of the cue word. How striking and creative Ardyth! Just amazing how your mind works!Awesome! Isn't that fun! Love it. Love how your mind works! You are so quick on the uptake. Bravo! Stunning card - so much about today! Love it. Yes...I agree with all the other comments. Very cool and fun card. Genius! Really made me smile! What an ingenious idea... superb Ardyth! Clever. So VERY clever. ;) I'm in awe! 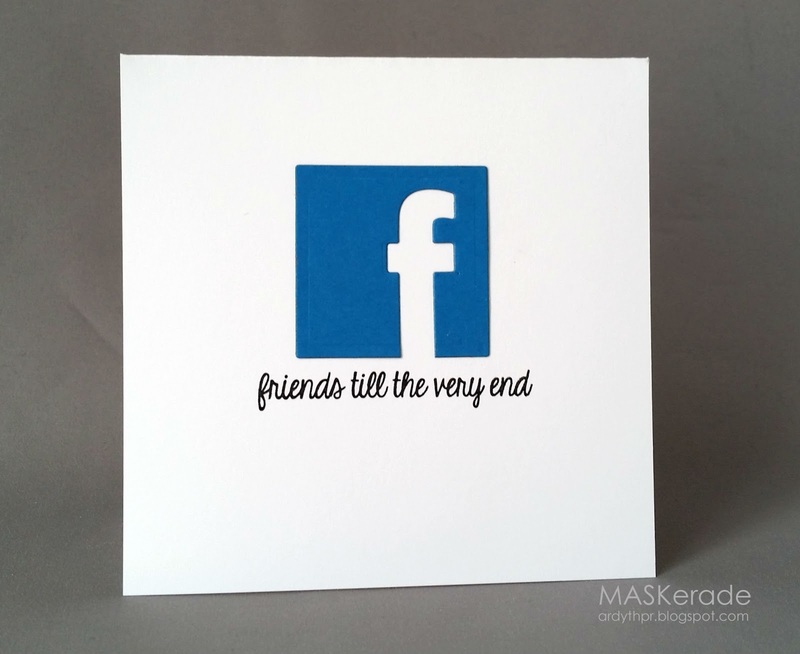 Ardyth, this is a really fun card...great use of the Facebook "f", a universal sign of "friending" someone! OK, I saw this somewhere before coming to your blog, knew it was yours, and fell in love. Now I see that it was for a "friend" challenge ... woah. Mind. Blown. wow - so clever, well done on being showcased at LIM. OMG, LOVE the Facebook card. You are so clever! What can I say! Awesome... Love your creativity ... Perfection!